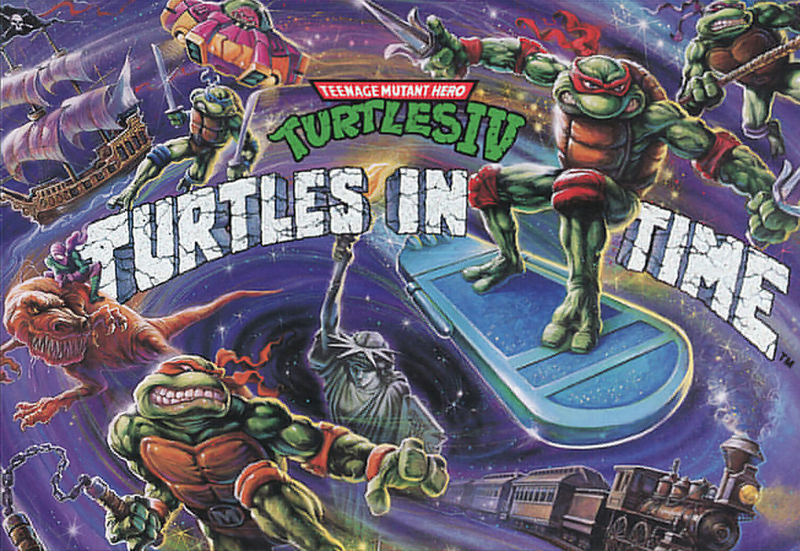 One of the greatest beat-em-ups ever released for the SNES or the arcade, TMNT: Turtles in Time is co-op 90’s nostalgia to the max. This was the game where you came for the Turtles but stayed for the variety of enemies and familiar bosses. There was also Shredder‘s inexplicable plot to steal the Statue of Liberty – we’re still trying to figure that one out. We assume he was going to melt it down for some extra cash. Also, EVERYTHING EXPLODED! We never really talked about the ethics of stealing the pizza while you had full life, but we know that it led to many an argument between friends. Whether you played the SNES port or pumped hundreds of quarters into the arcade version, you know that it kept true to the cartoon. Since our communication skills are sorely lacking, Rian played the SNES version and Dirk played the arcade version. Dirk even blew $12 worth of quarters getting through the game – making it one of the better quarter-grabbers. Hell, the arcade version even killed you if you stood around too long. The SNES version boasted the awesomeness of Mode 7 and gave the fans some Bebop and Rocksteady action. Meanwhile the Arcade version pitted you against Tokka and Rahzar. It also included music from that horrible TMNT Live Tour: Coming Out of Their Shells. Everybody together now, “COWABUNGA!! !” Now that that’s out of the way you can all sit back and enjoy Pointcast 13.1 of the Casual Cowards of Gaming.